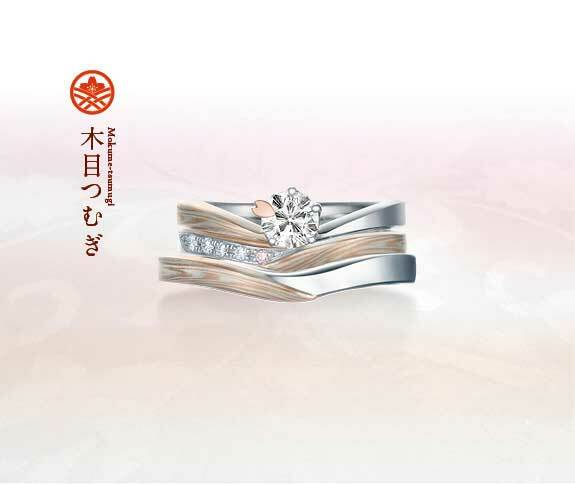 The design resembles that of a beautiful Japanese cherry tree (Sakura), enveloping a diamond that will sparkle beautifully on your finger. 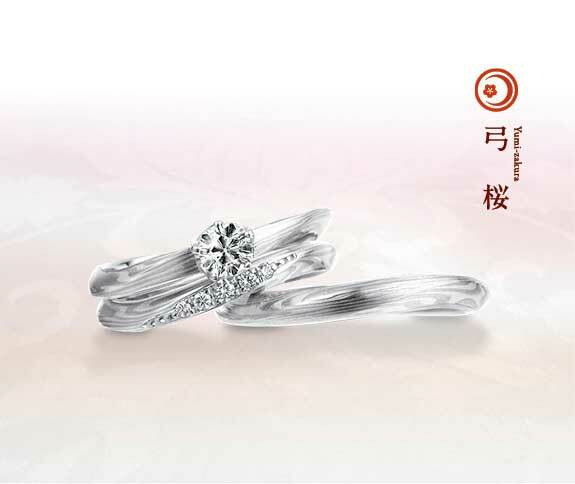 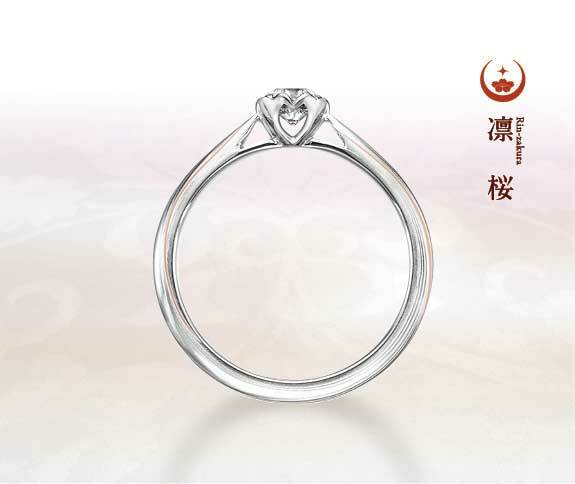 It matches the wedding ring perfectly, and the two will complement one another in brilliance and beauty. 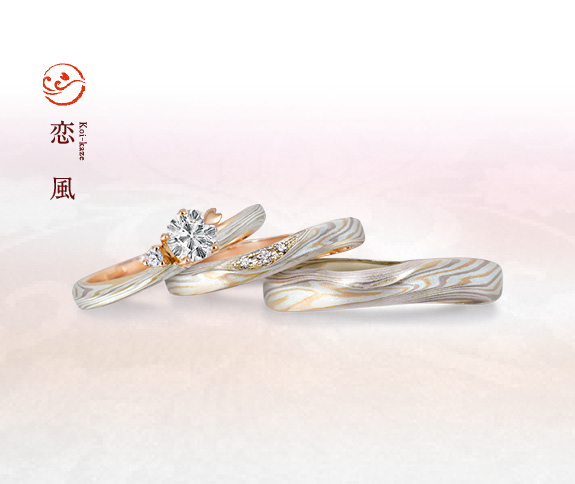 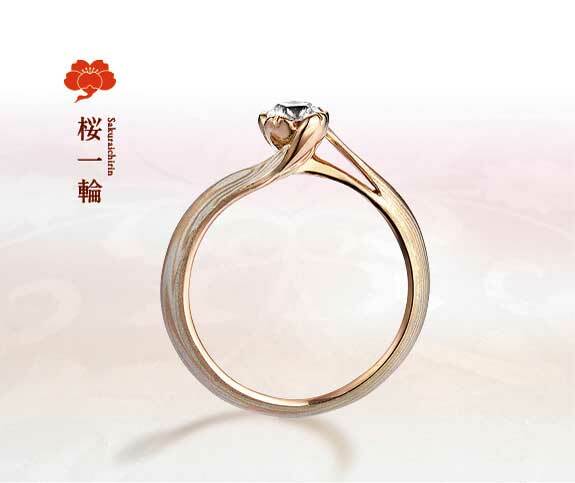 “Spinning a story together” The slender V shaped lines make your finger appear even more beautiful and elegant. 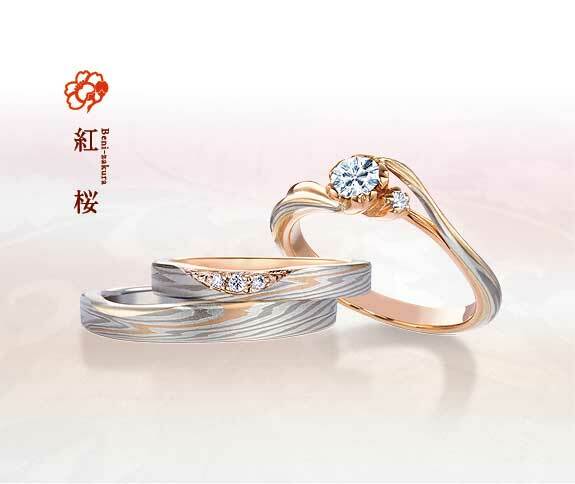 The three rings nestle together snugly. 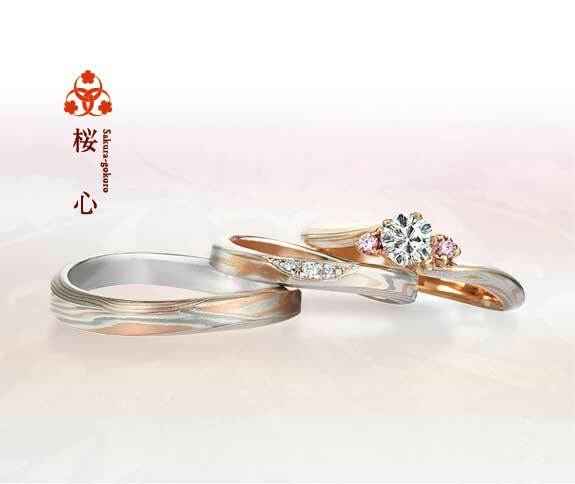 The pink gold in the mokumegane beautifully offsets skin tone with a color reminiscent of that of the Sakura. 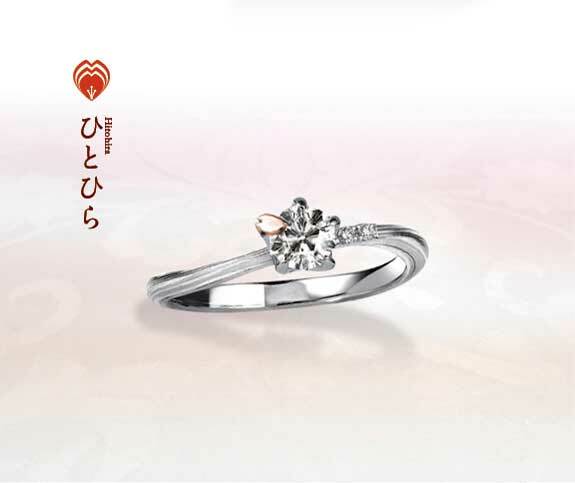 The single pink petal is pretty, and a simple prong setting is used. 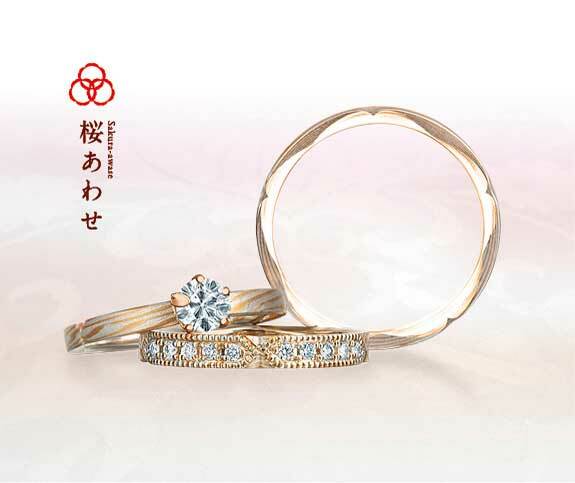 A tiny Sakura blooms on the side of the main diamond, with a line of pink gold on the ring band adding a unique touch. 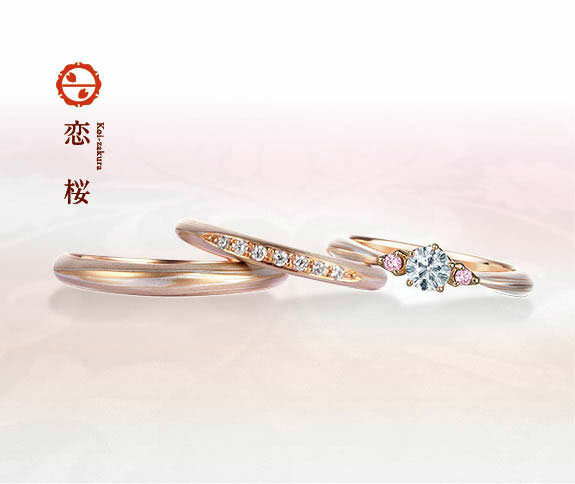 The main diamond stands out on a simple band with pink diamonds on both sides, reminiscent of a Sakura in full bloom. 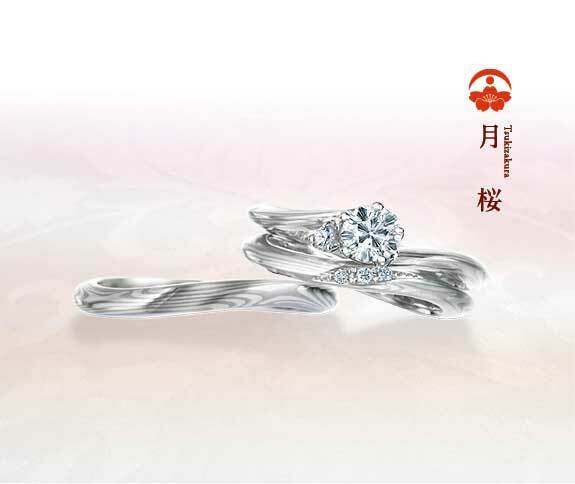 This design of a setting in the shape of a petal makes the diamond look simply beautiful.